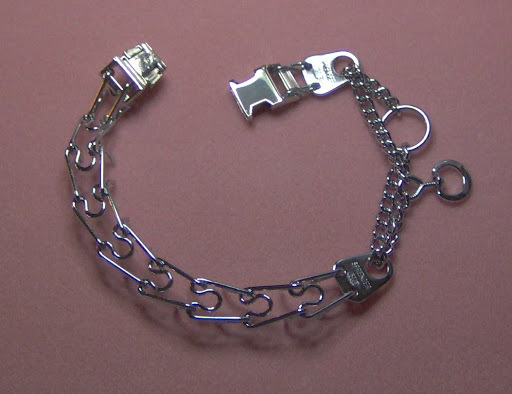 This is my improved version of a Sprenger training collar. I inserted a side release buckle. No more fumbling with the prongs. If you are interested in buying one contact me at clvangee2@aol.com.